Conveniently situated 300 metres from Windsor Leisure Pool and the River Thames, this family-run lodge is located near junction 6 of the M4, and 15 minutes' drive from Heathrow. Windsor Castle, the town centre and the railway station are 10 minutes' walk away. Legoland is 5 minutes' drive away. The resident proprietor extends a warm welcome to all old and new guests and takes a great interest in providing a pleasant ambience. Emphasis is placed upon preparing the best English fare, generously served and prepared under the personal supervision of the proprietors. All rooms at the lodge are en suite. George Hotel is a good-value hotel with free internet access and a good location just north of Russell Square, within walking distance of the British Museum and the West End. The B&B-hotel is convenient for Kings Cross, Euston and St Pancras International stations Tucked away on the edge of Bloomsbury, George Hotel-B&B has comfortable and nicely equipped rooms with a homely feel. It is part of a crescent of Georgian townhouses overlooking Cartwright Gardens. In the heart of Wakefield city centre, just metres from Wakefield Westgate railway station, the York House Hotel offers free Wi-Fi, stylish, modern en suite accommodation and limited free parking. The York House Hotel was fully refurbished in early 2008, as a part of the development and regeneration of the Westgate area of Wakefield. Today, the hotel houses 20 stylish and contemporary en suite rooms, each with a flat-screen TV and a modern en suite shower room. Free Wi-Fi wireless internet access is available throughout the hotel. The hotel is situated next to the newly built Art House and behind Wakefield's Theatre Royal and Opera House. The very centre of the city is less than 2 minutes' walk away, as is Wakefield Westgate railway station. Westgate has now become the city's main railway station and trains run regularly between the station and Leeds. The Crown Hotel is set in the picturesque village of Wetheral and boasts leisure facilities that include a 12-metre pool, squash courts and a beauty room with Dermalogica treatments. The Crown's beautiful landscaped gardens overlook the Pennines and the River Eden. 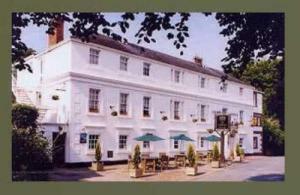 The Crown Hotel is close to the historic city of Carlisle and also to Hadrian's Wall. The delightful conservatory restaurant uses local produce to create English/French-style cooking. Waltons bar serves traditional pub food with a selection of Real Ales. 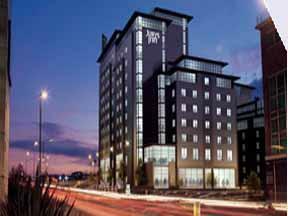 Centrally located in this vibrant city, Jurys Inn Nottingham is the perfect choice for the business and leisure guest. 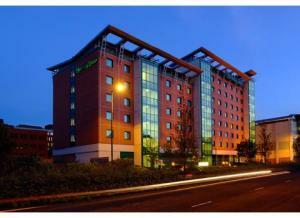 Jurys Inn Nottingham is only minutes away from all business, shopping, cultural and entertainment districts. Jurys Inn Nottingham, one of the newest budget hotels in Nottingham, offers guests an excellent standard of 3 star accommodation and a central location on the London Road, close to the railway station and within a two minute walk of the new tramway system it is the perfect choice for business or leisure travellers. Our central location, public parking close by and dedicated meeting rooms - the perfect solution for small to medium meetings, make Jurys Inn Nottingham the perfect location your business meetings. Set within an old corn mill with a working waterwheel, this traditional hotel enjoys a tranquil setting on an island between the historically significant Abbey Ruins and the banks of the Thames. Overlooking the River Thames, The Upper Reaches is an ideal choice for a relaxing break in the historic county of Oxfordshire, with the quaint village of Dorchester, Henley and Marlow all nearby. For shoppers, Oxford, Reading, Bicester Retail village and Abingdon are just a short drive away through the beautiful countryside. With its idyllic water-front setting and spectacular views, the Upper Reaches Hotel is well integrated into the life of the river, and as such can offer mooring for up to 6 boats. 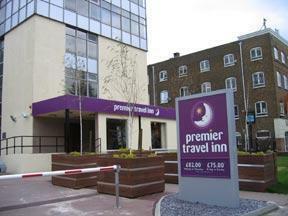 This comfy budget hotel is close to Victoria Station for the Underground, trains and coaches. Restaurants are within walking distance, and Buckingham Palace and the Houses of Parliament are not far. Other top attractions such as the London Eye, Westminster Abbey, Tate Modern, Tate Gallery and some famous theatres, are a short journey from Victoria Inn London. 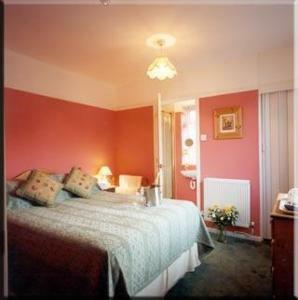 The Victoria Inn has basic but restful rooms that will suit those looking to explore London without spending a lot. For an easy arrival or onward journey, the British Airways Terminal and Gatwick Express are both at Victoria. Offering comfort and value just 1 minute's walk from Earl's Court Underground Station, this convenient hotel is within walking distance of Olympia and Earl's Court Exhibition Halls. The City Continental London Kensington is a fully refurbished hotel in a quiet and trendy area of central London. Friendly, efficient service is mixed with modern en suite rooms to create a relaxing environment. The fashionable shopping areas of Knightsbridge, Kensington and Chelsea are only a short walk away. Other sights and attractions and can be easily accessed via Earl's Court Underground Station. Superbly located in central London, Citadines Apart'hotel Holborn/Covent Garden is a short walk from Holborn Underground Station, with good access to Heathrow Airport on the Piccadilly line. Apart'hotel offers well furnished 1 or 2 bedroom apartments, with a fully-equipped kitchen area and facilities including a microwave, fridge and dishwasher. There is also a satellite TV and a sound system. There are 3 meeting rooms, equipped with extensive business facilities and a breakfast lounge. Citadines Apart'hotel is within walking distance of Piccadilly Circus and Covent Garden, with a wealth of shops and theatres nearby. 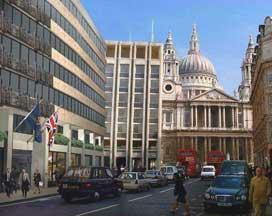 Apart'hotel is also near traditional pubs, restaurants and the British Museum. A haven of peace and tranquillity on the North Yorkshire Coast, this relaxing house specialises in providing a calming, child-free atmosphere, with treatments for mind, body and spirits. Lovingly arranged, decorated and furnished within the guidance of Feng Shui, Fountains Court features 18 welcoming bedrooms, a light-filled conservatory, relaxing guest lounge for reading or reflection (no TV), a peaceful dining room and a warming sun room. Furthermore there is the Zen Garden, where you can unwind to the sound of wind chimes before soaking in the hot tub and clearing your airways in the infra-red sauna. For a truly indulgent stay, you can choose from one of over 30 therapies in the treatment centre. Please note that the centre is also open to non-residents, so advanced booking is required (additional cost). To ensure you have a relaxing stay, please note that Fountains Court is child-free, mobiles are to be on silent or off at all times and the doors are locked at 00:00 to ensure a peaceful night's sleep. Next to St. Paul's Cathedral, this private and exclusive 4-star hotel offers free Wi-Fi and spacious air-conditioned accommodation in the heart of the City, London's financial centre. The Club Quarters, St. Pauls is a clean, quiet full-service hotel, offering guests the services of a members-only club. Guests have free use of a computer and printer, free bottled water and free use of the fitness room. The Private Club Room has complimentary newspapers, magazines, coffee and tea. The hotel also boasts restricted entry for greater security. 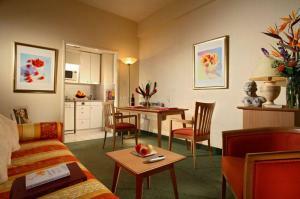 Rooms are comfortable, elegantly styled and beautifully appointed, with all modern conveniences. Perc%nto, the hotel's on-site restaurant, is a casual bistro and cocktail lounge upstairs and a superb Italian restaurant downstairs. Room service is also available, along with multi-menu room delivery. Just steps from the River Thames, the hotel is only 650 metres from the Tate Modern art gallery, the Millennium Bridge and Shakespeares Globe Theatre. Only a few minutes' drive from London Heathrow Airport and with free airport shuttle-bus transfers, Heathrow Lodge offers comfortable accommodation at good-value, sensible prices. 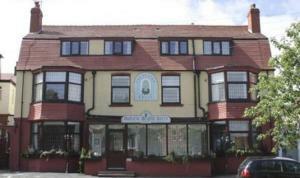 Heathrow Lodge Hotel offers a range of accommodation to suit the needs and budget of any traveller. 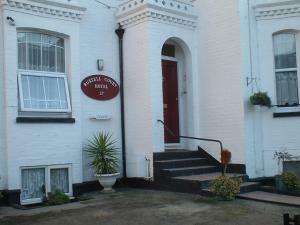 All of the rooms have TVs, tea/coffee, central heating and double glazing. The en suite rooms are in the main building and have telephones and free Sky Sports and film channels. The rooms with shared bathrooms are in a separate building, close to the main property. A continental buffet breakfast is available at an additional cost from Monday to Thursday. The hotel is 5-10 minutes from terminals 1, 2, 3, 4 and 5. The free courtesy bus service runs to and from the airport between 06:00 and 10:00 and 18:00 and 22:00. There are 2 pubs/restaurants within 3-minutes' walk of the hotel. Set within a grand Victorian property, this 2-star hotel is ideally set in the heart of Ilfracombes seafront, directly on the promenade, within walking distance of all the main attractions. There are shops, cafes and the Landmark Theatre complex right on the Grosvenors doorstep and during your stay you can also enjoy easy access to Ilfracombe Museum, the exquisite Runnymeade Gardens and the unique Tunnels Beaches. Carry on along the esplanade and you'll find the coastal walkway around the vista point of Capstone Hill, the town's ancient, historical harbour, St. Nicholas' Chapel, the RNLI Lifeboat & Station and many other hidden gems along the walkways, alleys and backstreets. Open all year round, with nightly entertainment, a bar, a restaurant and a new Cafe Bistro for light lunches, the Grosvenor Hotel is Ilfracombe's premier family-run hotel. A limited number of car parking spaces are available in the hotel's own car park. Situated in the harbour town of Falmouth, this small, family-run guest house is ideally situated within easy reach of the town centre, beaches and all local attractions. Whether travelling by car, coach, rail or boat, you will find the Tregenna's location a convenient base for visiting all that Cornwall has to offer. It is close to the harbour, docks, Princess Pavillion and the bustling centre, which offers a great variety of shops, pubs and restaurants. In the evenings you can fully relax in the comfort of the house. At the rear is a large sun terrace complete with spectacular views of the harbour. The terrace also acts as a smoking area. With great views over London and just a few hundred metres from the Thames and Ravenscourt Park London Underground Station, this newly opened hotel offers modern, air-conditioned rooms. The London Hammersmith Premier Inn has a convenient location, close to the riverside walks along the banks of the River Thames. Ravenscourt Park Station on the District line of the London Underground network is less than 200 metres way and Hammersmith Station is just a 10-minute walk away. The hotel has a 24-hour reception desk and some rooms can take 2 adults and up to 2 children (under 16 years). The 2 children also get a free full breakfast when accompanied by an adult eating a full breakfast. An all-you-can-eat buffet breakfast is available each morning and includes scrambled, fried, poached or boiled eggs, and pork or vegetarian sausages. There is also a wide continental selection. The on-site restaurant offers good food and drink at great-value prices. In the beautiful county of Cheshire, a few minutes' drive from junction 5 of the M53, the hotel has good facilities including a leisure club with heated pool. 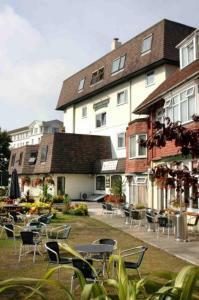 Woodhey House Hotel offers well-appointed rooms, a modern restaurant and bar, and free car parking. Woodhey House is easily accessible from the M53 and is between Chester and Liverpool, with North Wales a few miles away. The hotel is near the village of Little Sutton, where there is a train station with links to Chester and the rest of the Merseyrail network. Stay at the Ramada Hatfield and experience everything you'd expect from an international hotel company. Valentine Package, Fitness Zone, Close to Luton & Heathrow Airport, Easy access to A1 & M1 and Free Guest Parking. With a Grade II listing and stunning 1930's feature, this stylish hotel holds true to its heritage and is the ideal location for leisure and business guests alike. The business services and conference facilities will meet the highest of expectations with secretarial support available should you require it. Your bedroom is designed to provide the comfort you require for undisturbed sleep by night as well as facilities and entertainment that you demand by day. With comfortable rooms, mini-gym, business centre and free parking, the modern Holiday Inn Woking has a central location, 5 minutes' walk from the railway station. HuGo's is the restaurant at the Holiday Inn Woking. Enjoy continental cuisine for breakfast, lunch and dinner. A room service menu (06:00 to 23:00) means you can also dine in privacy. Easily accessible from the M25, M3 and A3, the Holiday Inn Woking has good links to London Waterloo via the nearby Woking Railway Station. Parking is available in a multi-storey car park next to the hotel. A number of Wi-Fi-enabled, air-conditioned meeting rooms are available. Set in an acre of landscaped gardens, 4-star Langleigh House is in a pretty conservation village, 1 mile away from Exmoor National Park and close to the sea. 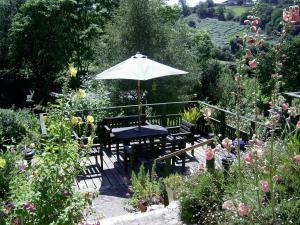 Guests may take breakfast on the terrace and decking area, with stunning countryside views. Langleigh House is in an area of outstanding natural beauty, within walking distance of the coastal path. Numerous charming pubs and restaurants are close by in the village centre. All comfortable rooms have en suite facilities, with a TV. Free parking is available for guests. In the heart of Kensington, just 200 metres from Gloucester Road London Underground Station, this beautiful Victorian building houses modern, air-conditioned rooms with free Wi-Fi. Best Western The Cromwell has a quiet yet central location, about half a mile (800 m) from some of London's best museums, including the Victoria & Albert Museum, the Natural History Museum and the Science Museum. Some of the city's best shops are also within easy reach, including Harrods and Harvey Nichols. The Cromwell occupies one of the area's distinctive and rather grand white Victorian buildings. Fully refurbished throughout, the hotel is decorated in light, restful colours, with rooms in olive greens and shades of cream and beige. 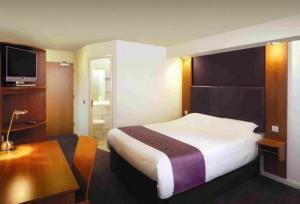 All of the stylish and contemporary en suite rooms have plasma flat-screen TVs, modern furnishings and fitted carpets. The modern bar offers a range of drinks and there is no shortage of restaurants in the area surrounding the hotel.